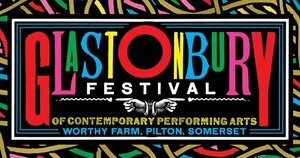 Do you like Glastonbury Festival? Would you like to live in it all the time? Well obviously you can’t, but the council local to Worthy Farm has allowed the Eavis family to sell four hundred tonnes of stone from the site for use in home building in Pilton. “It’s a good local story – building local housing for local people, using local materials,” said Councillor Mar ‘I’m channelling the League of Gentlemen’ Keating.